1. 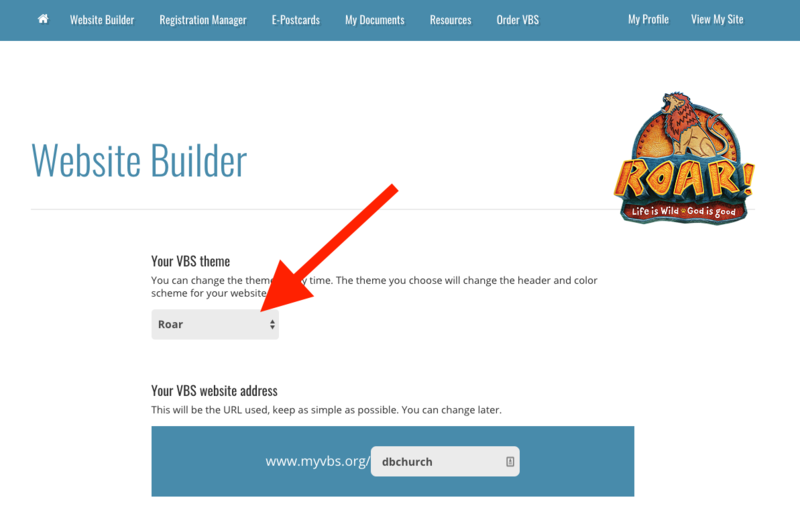 Login in to or create a new MyVBS. Click here to login. Select the Website Builder. 2. Under “Your VBS Theme” select your 2019 Theme. 3. 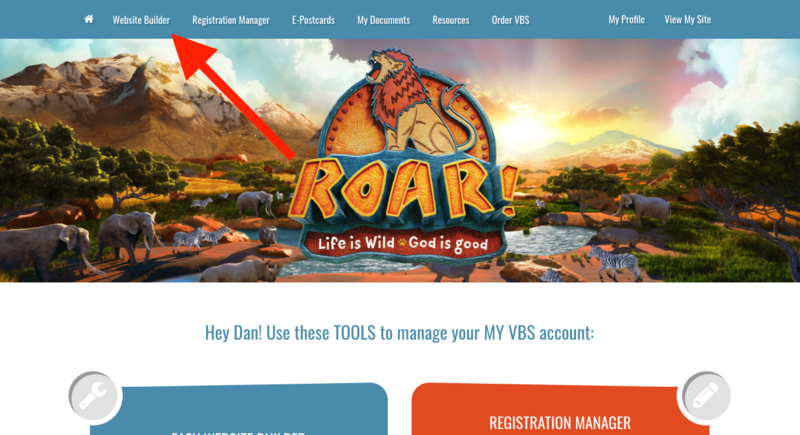 Scroll down to “Suspend VBS Website” (near the bottom). Un-check the "Suspend Website" box & Click the Submit Changes button. You will receive a confirmation pop-up when finished. Please take a moment to update any information that may have changed for your church under VBS Information and VBS Contact Information. Be sure to submit your changes via the button at the bottom of the page. 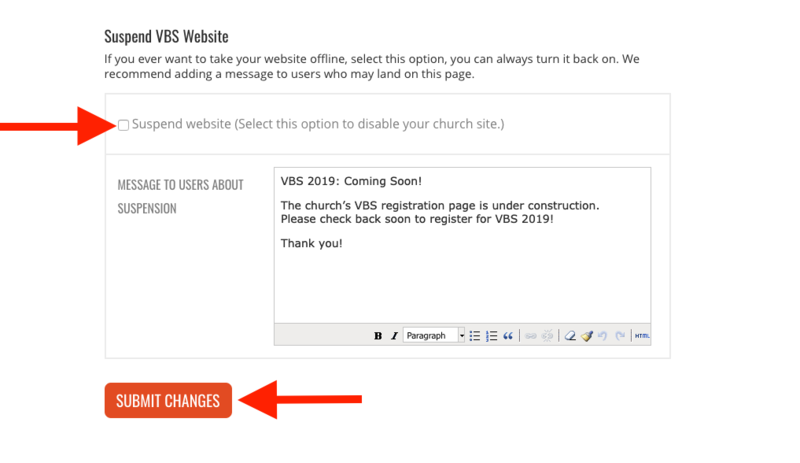 Now your MyVBS website theme is set for 2019, and people can begin registration!